The eight-year-old daughter of Mahler, owned by Martyn Chapman, is bidding to become the first mare since Nickel Coin in 1951 to land the world's richest chase, but Honeyball is slightly concerned by the three-week gap between Uttoxeter and Aintree. Discussing eight-year-old Ms Parfois, who finished second in both the G2 National Hunt Chase at the Cheltenham Festival and the G1 Betway Novices' Chase over the Mildmay fences at Aintree in 2018, he revealed: "Ms Parfois ran a great race in the Midlands Grand National. "She is essentially 7lb well-in at Aintree after that Uttoxeter run for which she went up 7lb. We checked her over with the vet since she returned home and all tests suggest that, from a lung point of view, which is what we are interested in, it hasn't taken a lot out of her. We are inclined to take our chance in the Randox Health Grand National if the ground comes up soft. "If the race was five weeks off it would be better, but it is three weeks off so it will be tough. For me, the Midlands National was very much her Gold Cup. For her to run like that, having come through what we have, she did very well as she hadn't run since December 1 [sixth, G3 Ladbrokes Trophy at Newbury on December 1]. "Just from two out at Uttoxeter, she did get very tired but she kept on and we just got beat. She does seem to have come out of it alright so now the only question mark is the ground and that is the only reason why she wouldn't run. "If it was good to soft with a bit of rain around, you would probably have a go then. "It will be her last run of the season so if the ground is right it will are inclined to take our chance bearing in mind we have done the background work and it is just a matter of ticking over. "If you think she will come on for the Midlands National then a four or five week gap would be better but she was pretty fit at Uttoxeter and she was on the bridle three out and it only got tough from two out and she jumped the last two fences well enough. 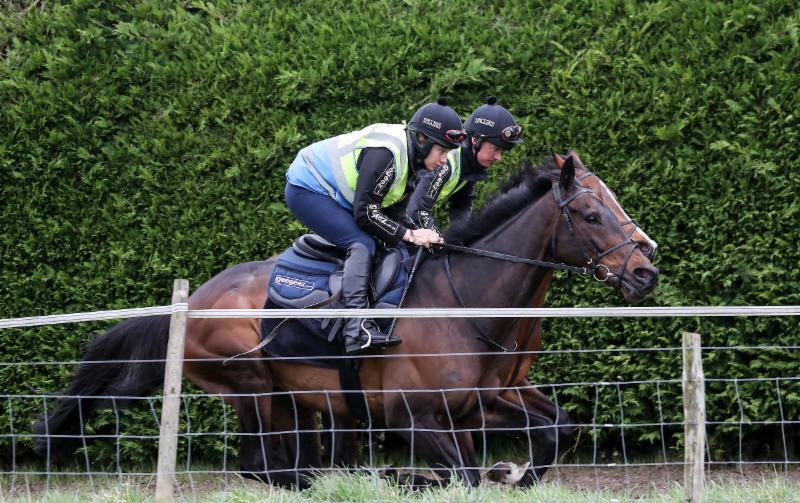 "One thing we know is that we are going to Aintree with a mare that stays those sort of trips. Her jumping is what you want going into it, but who knows what she will make of it. "We were delighted with her in the Midlands Grand National. Three fences out, I think she was going to win it well before Potters Corner came through to win. I was very disappointed to get beat, but it was pleasing that she was back to her best. "She has taken her races quite well in her career, but it is a different for her now as these long distance races are tough ones. It would be lovely to get in a mares' race with her and I wanted to do that before the Midlands Grand National to set her up, but we were scuppered by the equine flu outbreak. "Ms Parfois does not over-race. She is sensible and doesn't try and do anything silly. As a jockey, you could not ask for more from her. She travels fine and is very assured at her fences. You go into the Grand National thinking you have the right type of horse for the race with her. It wouldn't be bad to train the first mare to win the Grand National since 1951! "I think she is the nearly the perfect horse. Maybe she just lacks that little bit of pace at the end of the race. She has built up a good CV. 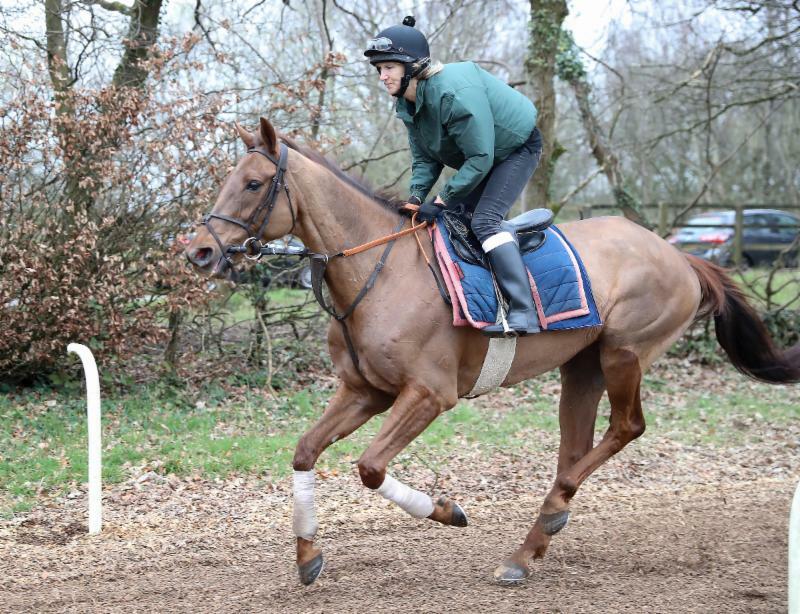 "The only thing she will do now is pop up to Lambourn to jump the National style fences there. I'm an absolute believer they must do that. We will fit that in next Tuesday or Wednesday. "I think Aidan Coleman, who was on board at Uttoxeter, will ride her again." The J P McManus-owned Regal Encore has enjoyed a trouble-free preparation in the build-up to this year's Randox Health Grand National. A creditable eighth behind One For Arthur, beaten 28 lengths, in the 2017 renewal, the 11-year-old son of King's Theatre was ruled out of last year's contest due to a leg injury. However, Honeyball has been delighted with the gelding's preparation following his third in a three-mile Listed event at Ascot, a race he won in 2018, on February 16. The Dorset handler said: "Regal Encore has run some very good races in some big handicaps and finished a fine eighth in the 2017 renewal of the Randox Health Grand National. "He is in good form and is no different now to how he was as a seven or eight-year-old. He is very athletic and is moving very well. He is like a young horse still. "In the 2017 Grand National, he almost hunted his way round there. He got into it after the Melling Road, blew up and then ran on again after the last. We just think this time around we will be a bit handier. "Robbie Power had never ridden him before and gave him a brilliant ride. He saved petrol by keeping out of the heat of the battle and that is why the horse stayed on so well. It was a bit of a catch 22 as we probably would've found out a bit more about him had he been in the heat of battle a little earlier as he had a lot of ground to make up. It was a lovely experience round there, he jumped great and we learnt a fair bit. Regal Encore seemed to get tired going to the last, but then he seemed to fill up and stay on again. "Richie McLernon will definitely ride him. He knows the horse well and Richie is really looking forward to riding him - hopefully we get Regal Encore there in one piece. "Regal Encore ran at Ascot last time in a race he won last year. He got dropped a 1lb for that, but that's around where he should be. He is in good form and should run around that mark. 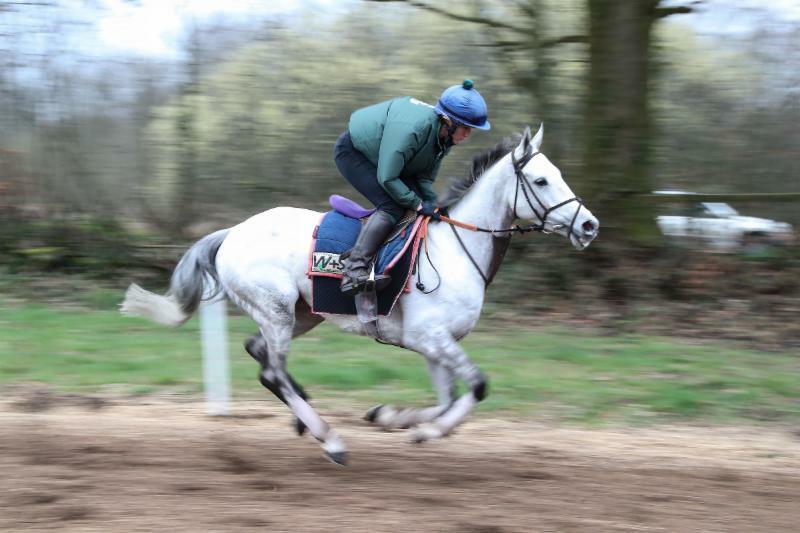 "Before last year's Grand National, he had a really good prep as he went up 4lb for winning a competitive handicap at Ascot in February before the weights came out and it all just slotted into place. It was very disappointing that we couldn't get him there. We gave him every chance right up until the last minute, but we just couldn't get his leg sorted in time. He was still on antibiotics and we just weren't going to get him there. "I think Regal Encore did need his last run badly because of the stop-start season we've had with him. He did blow up in that race. Richie was delighted with him. He had ridden him at Aintree [sixth, handicap hurdle, November 10] when we were under a bit of a cloud and he just didn't fire up at all. He was so slow, although it was over hurdles admittedly, he was beaten a long way. We checked him out with the others and we could tell things weren't right that day. He ran a really nice race at Ascot. He looks in great order now. "He has got the class. He will hit a flat spot, but he will come home strong after that. He is a very sensible horse. He frightens the life out of me over fences though as if you watch his Ascot runs he literally flicks through them like a hurdler. "We would love to run him in a Welsh or Midlands National, but he can't pull himself out of that heavy ground. "We have been quite lucky at Aintree in the past and had some good runners there. We had a bit of a blip this season, but the horses just seem to be coming back to themselves at the right time for that meeting." Reflecting on his duo for the world's oldest and greatest chase, Honeyball continued: "This year's Grand National is more likely to favour Regal Encore as he had a good prep at Ascot which he needed. "Ground-wise, he is pretty versatile and it was good ground when he was eighth a couple of years ago and that was probably a bit quick for him, so good to soft or soft ground would be ideal for him. I would think this would be Regal Encore's last run in the Grand National and his best chance in the race. "For Ms Parfois to run in the Grand National three weeks after the Midlands Grand National is not what you design. Horses like Tiger Roll have had a perfect prep, where he has had an easy win and is ready to go. By contrast, we've had a gut-wrenching run in the Midlands and it is just a case of we don't really have anywhere else to go for the rest of the season, so we were inclined that if she looks good and the ground is right, then we will take our chance. "They are different types of horses, Ms Parfois ticks all the boxes, but Regal Encore has had the best preparation for the race. "It is nice to go into a National with a couple of solid horses that are going to get a run. It would be great to have something like that on the CV. You could literally think to yourself if I stop tomorrow I've got a National on the CV. It would be unbelievable to win it and have it to look back on." Pipe, who trains at Pond House, Nicholshayne on the Devon/Somerset border, has four entries going forward for the 172nd running of the world's greatest and most valuable chase, which has a safety limit of 40. But one is very unlikely to get into the race, run over 30 fences and four miles, two furlongs and 74 yards, after 81 horses went forward today. Pipe said: "All three of our horses in the race would like soft ground. Ramses De Teillee and Vieux Lion Rouge are going to run in the race, all being well. Both of those horses will be fine on good to soft or softer. "We weren't sure if Ramses De Teillee was going to get the Welsh National trip, but he got it well. He ran very well at Haydock last time out. The race fell apart a bit and he was left in front a long way out that day with four fences still to jump and it's a tough run up the home straight there. 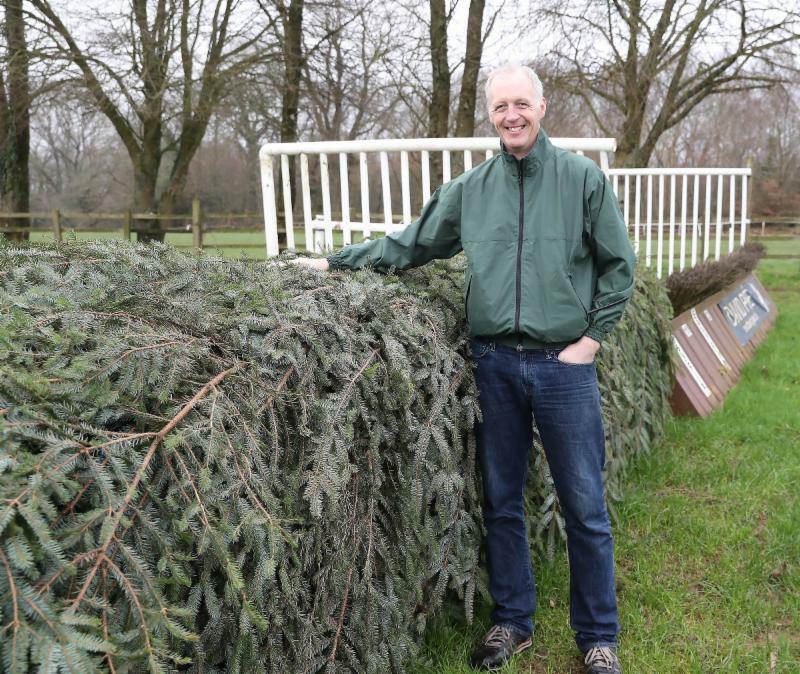 "He is only seven, but he has run on some big racedays including the Cheltenham Festival, the Welsh National and a Grand National Trial at Haydock Park - he just doesn't seem to be fazed by anything and I wouldn't be concerned by the atmosphere for him. "I think the owners (John White and Anne Underhill) were tempted to wait until next year for the Grand National, but he is 5lb well-in. "We don't know whether Ramses De Teillee will get the trip in the Grand National, but plenty of horses will have that question mark. He seems to stay well and has a high cruising speed. 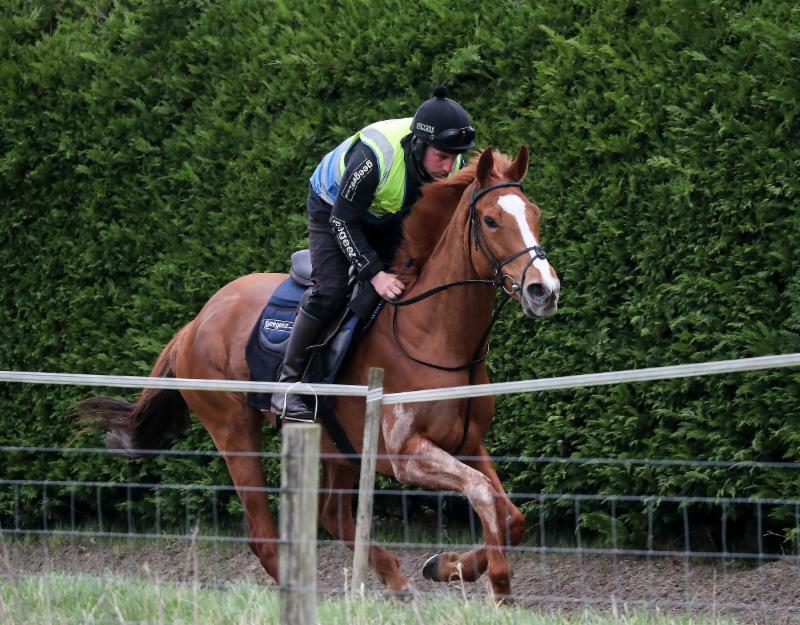 He hasn't schooled over the Grand National fences yet, but he will school over them next week and will go for a racecourse gallop with Vieux Lion Rouge. "Ramses De Teillee does seem to jump and travel and it will more be a case of what he finds when he turns in. Probably 18 months ago, we would not have thought Ramses De Teillee was a potential Grand National runner, but he has progressed a lot this season and showed he stays well." Vieux Lion Rouge (10st 2lb, 40/1 with Betway) is described as an "Aintree specialist" by Pipe having finished ninth (2018), sixth (2017) and seventh (2016) in his three runs in the Randox Health Grand National. Successful in the 2016 Becher Chase over the Grand National fences, the 10-year-old son of Sabiango was a fine second to Walk On The Mill, beaten four and a half-lengths, in this season's renewal on December 8, as well as coming home seventh in the 2017 edition. He explained: "Vieux Lion Rouge has probably been over more Grand National fences than any horse in this year's race! "He disappointed in the Grand National Trial behind Ramses De Teillee at Haydock last time, but we've treated him for ulcers since and he seems in good form. As everyone knows, he lights up to the occasion of running over the Grand National fences. Some horses lap up the atmosphere and he certainly does. "It's fair to say that Vieux Lion Rouge has come up a bit short in terms of seeing out the trip in the Grand National. However, you can only win the race if you get round. He has a great track record and I'm hoping that treating his ulcers will make an improvement. "He is a year older now at 10 and he's getting a bit slower, so he might stay further. He has dropped down the weights a bit too. "We found the ulcers after his last run at Haydock. The time before in the Welsh National, we put a pair of blinkers on him and they certainly lit him up alright, but he just did too much early on. Vieux Lion Rouge will wear sheepskin cheekpieces and Ramses De Teillee will have a tongue-tie." Pipe was effusive in his praise of the nine-year-old son of Authorized: "The one we all have to beat in the Grand National is Tiger Roll. He seems better than ever and you know that he will get the trip. "He is 9lb higher than last year in the ratings, but is 8lb well-in following his Cheltenham run. Comply Or Die was 15lb higher in 2009 when he finished second to Mon Mome, having won it the previous year. That was a probably better performance than when he actually won the Grand National. "We haven't decided on jockeys yet, nothing is set in stone and we'll make a decision closer to the time." Regarding Daklondike (10st 4lb, 50/1 with Betway), the Pond House handler revealed he is an unlikely runner, adding: "I'm not sure about Daklondike running in the race. He is talented, but quirky and he would need it soft. "We'll see what happens, but I'm not sure the starter would want him to run. He has always been quirky and we are trying a few different things with him." Reflecting on his 2008 success with Comply Or Die in the Randox Health Grand National, Pipe continued: "It would mean everything to win the race again. The 2008 victory was a bit of a blur, a nice blur, but I suppose you appreciate it more the second time. "To have won the Grand National once is fantastic and that means I can go into the race a little more relaxed. It was amazing to win the Grand National in my second season. "You always have ideas at the start of the season about horses who could become Grand National contenders. Some surprise you, others disappoint you. You are always working back from the Cheltenham Festival or the Grand National. The Grand National is the pinnacle and I'll have two tickets to the lottery." He remarked: "We have some nice runners going for some other races at Aintree. "A lot of our runners will be ground dependent, but Umbrigado could go for a novice hurdle over either two or two and a half-miles. We purposely missed Cheltenham with him to go to Aintree. "Umbrigado has done nothing wrong and he was impressive at Exeter last time out. He is a horse we have always thought a lot of - he will have to step up again, but he warrants taking his chance at Liverpool. Hopefully, we'll be at Cheltenham with him next year. "Eden Du Houx was another horse who missed Cheltenham and could go to Aintree or Punchestown. "The ground changes quickly this time of year so we'll see what happens there."